Mauricio Pochettino's side are the first club in the Premier League era not to make a single signing since the introduction of the pre-season transfer window. 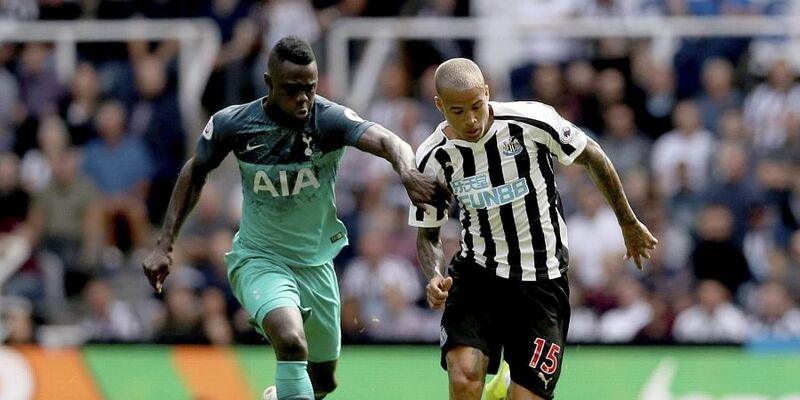 NEWCASTLE: Dele Alli silenced the complaints about Tottenham's lack of signings as the England midfielder sealed a 2-1 win at Newcastle in their Premier League opener on Saturday. That low-key approach has frustrated Tottenham fans, but Alli lifted the gloom with a clinical header to seal at the points at St James' Park. Jan Vertonghen opened the scoring with an early header and Joselu's equaliser was quickly erased by Alli as all three goals came in the first 18 minutes. Despite Tottenham's hard-fought victory, there was another August blank for Harry Kane, who started even though the England striker had only returned to training on Monday following his notable World Cup exploits. The World Cup Golden Boot winner has now gone 14 games spanning 988 minutes without scoring in the opening month of the campaign, though on this occasion, it mattered little. The season kicked-off to the backdrop of a protest staged by hundreds of Newcastle fans outside the nearby branch of Mike Ashley's Sports Direct. Ashley, the club's notoriously parsimonious billionaire owner, saw fit to spend £90 million (10.6 million euros, $11.5 million) on the ailing department store group House of Fraser. Meanwhile, his Magpies posted a net transfer profit of £20 million, despite the arrival of seven new signings, the most expensive of which, Japanese international forward Yoshinori Muto, cost £9.5m from German side Mainz. Such inactivity proved no impediment as the visitors rode their luck to seal a repeat of their opening day victory at St James' Park 12 months ago. The visitors took an eighth-minute lead when Christian Eriksen's corner was headed towards goal by Davinson Sanchez, allowing fellow defender Vertonghen to find the net off the underside of the bar with a deft glancing header which crossed the line before Martin Dubravka was able to claw the ball back. Newcastle were level within three minutes when Sanchez and Vertonghen were caught ball-watching as Matt Ritchie sent over an inviting centre from the right which Joselu headed into the bottom corner of the net past an exposed Hugo Lloris. With momentum on their side and a full-house roaring them on, Benitez's side looked set to build from a position of strength. But thanks to more questionable defending, their parity lasted just seven minutes. Tottenham's second goal was simple in its construction and should have been comfortably dealt with. Newcastle allowed Alli a free run at the far post to send a precise header back across Dubravka into the far corner from Serge Aurier's inviting cross, which was whipped in from the right. An increasingly open second period surprisingly failed to produce further addition to the score, as both goalkeepers excelled. Dubravka saved well to deny Alli when the midfielder deflected Kane's mis-hit shot towards goal. Newcastle's Slovakian keeper provided an even better stop to keep out a well-struck effort from Moussa Sissoko. Not to be outdone at the other end, Lloris stood up well to block Ayoze Perez's shot. The Frenchman was fortunate, however, as Kenedy's control let the Brazilian down at a crucial point, when a more assured first touch would have put the on-loan Chelsea midfielder in on goal. Mo Diame and substitute Salomon Rondon both struck the woodwork as Newcastle pressed for what would have been a fully deserved equaliser, but Tottenham held firm.